Why the Left worships there. Editor’s Note: A version of this article appeared in the January 26, 2009 issue of National Review. Some of the criticisms really are with the basic idea that government should intervene at all in this moment of crisis. Now, you have some people, very sincere, who philosophically just think the government has no business interfering in the marketplace. And, in fact, there are several who’ve suggested that FDR [President Roosevelt] was wrong to interfere back in the New Deal. They’re fighting battles that I thought were resolved a pretty long time ago. This is just the latest example of liberal consternation with the fact that conservatives are unwilling to let the New Deal stand as the useful myth of liberalism during the current economic crisis. Sirota’s point about high-school civics classes helps explain the vitriol. The glory of the New Deal is, for liberals, settled dogma. To question it is akin to casting doubt on geocentrism in the 14th century. Worse, it is an attempt to erase liberalism’s most usable past. Significantly, FDR has recently become more relevant and popular among “progressives” than he’s been for a generation. In 2006, Nancy Pelosi reportedly said that three words prove the Democrats aren’t out of ideas: “Franklin Delano Roosevelt.” This revival has many causes. One is surely the rise of the “netroots” and their renewed emphasis on reviving the Democratic party as a vehicle of progress. Since the Democratic party is still for all intents and purposes a Roosevelt cargo cult, any Democratic “comeback” would be a comeback for New Dealism as well. Another part of the explanation is surely that the New Deal has been assaulted from all sides over the last decade. Bill Clinton proclaimed that the “era of big government is over,” which many took to mean the New Deal era was over. Some of the New Deal’s policies–such as the Glass-Steagall Act, which regulated banking–were dramatically overhauled. And, more recently, President Bush led an effort to renegotiate the terms of Social Security that was, according to liberals at the time, tantamount to destroying FDR’s “legacy.” At the same time, a number of books have taken dead aim at that legacy. Jim Powell’s FDR’s Folly, Amity Shlaes’s justly acclaimed The Forgotten Man, and most recently Burton Folsom’s New Deal or Raw Deal? are just a few of the revisionist works intended to peel back some of the mythology of the New Deal (my own book, Liberal Fascism, might be included in that list as well). Such sustained attacks on an argument liberals believed they had won in the 1950s were bound to trigger a sharp counterattack from progressive antibodies. Hence the passion about the efficacy of the New Deal. If, as Shlaes and the other revisionists argue, the New Deal didn’t help end the Great Depression, then why do the time warp? Indeed, if the New Deal didn’t end the Great Depression, then why believe in big-government liberalism in the first place? After all, the New Deal is the creation myth of liberalism for a reason (the actual creation comes a bit earlier). FDR gathered the smartest statists in the country, and then he–and the voters–gave his Brain Trust unprecedented power to do whatever was required to crush the Great Depression. If it was all just a big, Oz-like light show with FDR behind the curtain fumbling at the controls, then the claims of liberalism itself are deeply suspect. #ad#In fairness to Sirota, DeLong, and Gross, their argument is more empirical. They rebut the charge that the New Deal “prolonged” the Great Depression by pointing to FDR’s efforts to stabilize the banking system. And they’re right to make that argument. Many of those efforts did help end the Depression, as even Milton Friedman and Federal Reserve chairman Ben Bernanke have argued. But some of those efforts didn’t help. For example, it’s doubtful Gross et al. would defend FDR’s embarrassingly erratic and ultimately destructive behavior during the ill-fated London Economic Conference in 1933. Few would dispute that his decision to blow up the conference as a sop to protectionist Democrats helped prolong the Great Depression, at home and abroad. More generally, the apologists protest too much. Plenty of “normal” and sane people believe the New Deal prolonged the Great Depression. In 1995 a survey by Robert Whaples, published in the Journal of Economic History, showed that half of economists and one-third of historians agreed somewhat or entirely with the proposition that the New Deal prolonged the Great Depression. A second point made by James Galbraith, Paul Krugman, and others is to dispute the assertion that employment didn’t improve much during the New Deal. One part of this debate hinges on what years you choose as bookends. Another depends on what you mean by “employment.” Amity Shlaes, using the widely adopted Lebergott–Bureau of Labor Statistics data series, does not include “make work” government jobs. The progressive economists say those jobs should count. In many respects that is a philosophical debate about the proper role of government. Certainly FDR eventually believed that everyone had a fundamental right to a job, and that there was nothing wrong with the government’s creating–and the taxpayer’s paying for–a job for anybody who needed one. No doubt many progressives today see little wrong with making government the employer of last resort, but this is a thorny proposition to put before voters. Barack Obama seems to understand this. In a recent video address–delivered from the “Office of the President-Elect”–Obama promised to create 3 million new jobs, “more than 80 percent of them in the private sector.” (That, by the way, is up to 600,000 new government jobs.) Well, if there’s nothing wrong with government jobs, why stop there? Both these defenses are representative of the general approach of New Deal apologists: Whenever challenged, they simply change the terms of the argument. While it’s certainly true that there is no consensus that the New Deal prolonged the Great Depression, there is a sweeping consensus that the New Deal didn’t end it. The vast majority of historians and economists–including Paul Krugman–will concede that the Great Depression didn’t end until either World War II or the post-war economic boom (that’s a whole other argument). In other words, only after FDR himself admitted he was no longer going to play the role of “Dr. New Deal” and instead became “Dr. Win-the-War” was there any real chance of ending the Great Depression. If a golfer can’t hit the ball to save his life with a five-iron, but smacks the dickens out of it with a seven-iron, it’s hard to see how his improved score demonstrates the effectiveness of five-irons. Ultimately, the question of whether the New Deal prolonged the Great Depression depends almost entirely on what you mean by “the New Deal.” When Social Security was in Republican crosshairs, liberals insisted that it was at the heart of the New Deal. Well, whatever Social Security’s merits, it had nothing to do with ending the Great Depression. When partisan divisions prove inconvenient to liberals, they lament the absence of the unity and common purpose we allegedly enjoyed during the New Deal (though the 1930s were actually a chaotic and deeply divided time). When certain favored industries suffer from international competition, the New Dealers’ supposed genius at economic planning is invoked; the problem there is that much of their effort on this front was a disaster. The Agricultural Adjustment Administration and National Recovery Administration, for example, were economic and moral disgraces. One would think–or at least hope–that today’s progressives don’t believe small businessmen should be prosecuted or jailed for trying to under-price their big-name competitors, or schoolchildren should be forced to conduct militaristic pageants in support of the government’s agenda. In fairness, people who say, categorically, that the New Deal didn’t prolong the Great Depression make the same mistake as those who say it did: They assume that it’s possible to determine the “natural” lifespan of the Great Depression. It isn’t. Still, we can draw inferences from useful comparisons. In the U.S., the Great Depression was deeper, and the recovery from it slower, than in most industrial nations. Why did employment recover more quickly in Canada and the United Kingdom? Indeed, why was the American effort to end the Depression among the least successful of the industrialized nations? Some progressives might argue that it was because the government wasn’t interventionist enough. Fine, let them argue that. But it is a very different argument from the one we usually hear about the purported success of the New Deal. On this point Amity Shlaes is surely onto something when she argues that bold experimentation fosters an atmosphere of uncertainty–“What’s FDR going to try next? !”; “What’s Obama up to now? !”–and uncertainty is not necessarily good for economic growth or employment. Yet, again, from the liberal perspective, this misses the point entirely. Some of the New Deal surely helped, and much of it definitely hurt, they might grudgingly concede; but to get mired in such questions is to overlook the true meaning and majesty of it all. This was the first time while the country was not at war that the American people gave war powers to liberals to do whatever they thought best. That’s what liberals love about the New Deal, and that’s the real reason they want to bring it back. 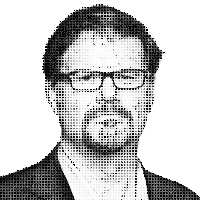 — Jonah Goldberg is editor-at-large of National Review Online and the author of Liberal Fascism: The Secret History of the American Left from Mussolini to the Politics of Meaning.